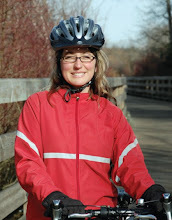 Lana Popham's 2009 Campaign: A little challenge....in the Saanich News. Holiday shopping has begun. Although I would like to expound on the value of shopping for sustainable gifts I am choosing instead to put out a challenge to holiday shoppers. Each time you go out to purchase gifts in the Capital region, I challenge you to bring your own reusable shopping bags. I challenge you to return home with your purchases and not with any extra plastic shopping bags. This is not a difficult challenge but imagine if all shoppers did this over the next month. How many bags would we save from entering and destroying our environment? How many barrels of oil would we conserve if we just said no. So simple, so important. I challenge all of you.